Toys that teach, toys that speak, toys that parents’ sanity keep. Chicco’s range of toys is specifically designed for fun and learning in each phase of baby’s growth. From carseats to breast pumps and developmental toys, Chicco is a one-stop brand for everything baby that parents have loved and trusted for nearly sixty years. Their award-winning toys are designed in collaboration with parents, researchers, paediatricians, and daycare centres so they are durable, developmentally appropriate and ultimately fun to use. Multi-activity toys promote lively responses from babies as they interact with them. 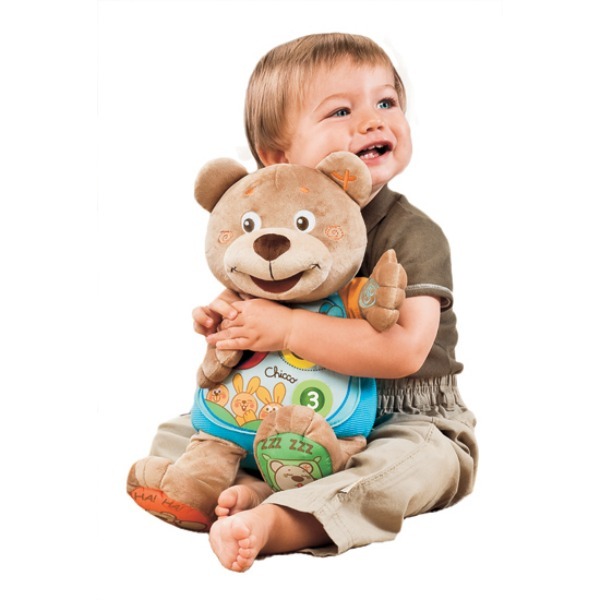 Teddy Count With Me is perfect from six months of age and teaches children first numbers and words in both English and Spanish. Find out more about how it works in this video. This interactive toy retails for $99.95. By the time your little one is 12 months of age, he or she has an insatiable curiosity about the world around them. Toys that entertain, engage and challenge kids foster independent creative play. 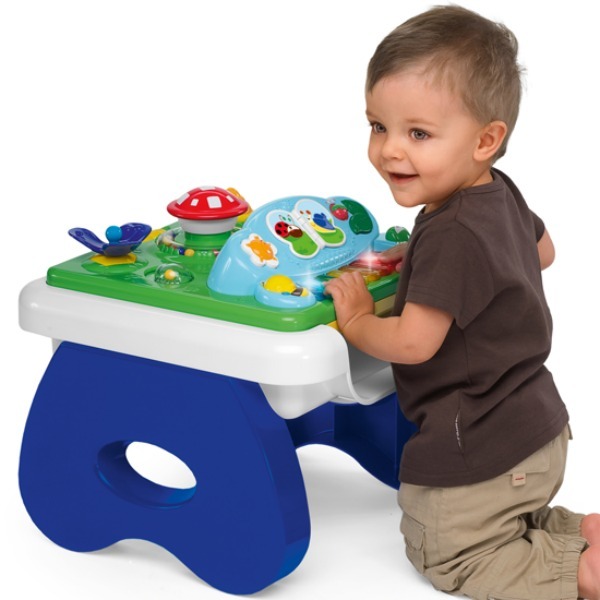 The Chicco Shapes ‘n’ Music Play Table ticks all the boxes and won a gold medal in the 2014 Australian Mother and Baby Magazine Awards.This ideal play toy has an electronic multi-function music board and can also be flipped over to a new and alternate play surface. It retails for $149.95. 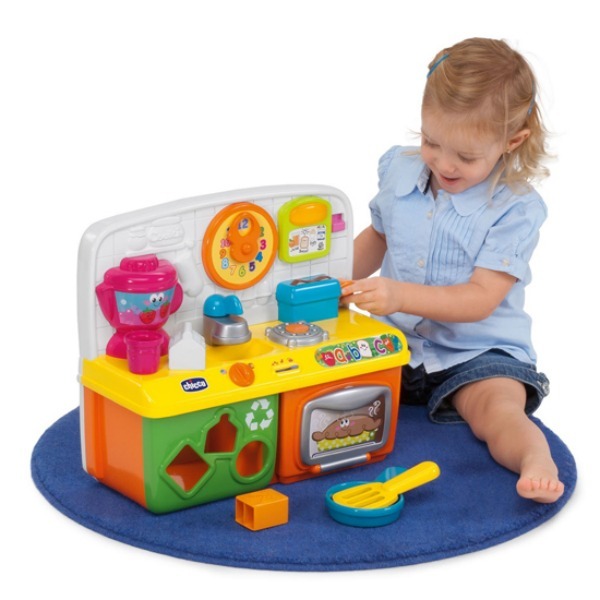 Stimulate imaginative play in your child with the Chicco Talking Kitchen. This bilingual educational toy, which costs $99.95, helps your child develop English and French language skills as well as hand-eye coordination. 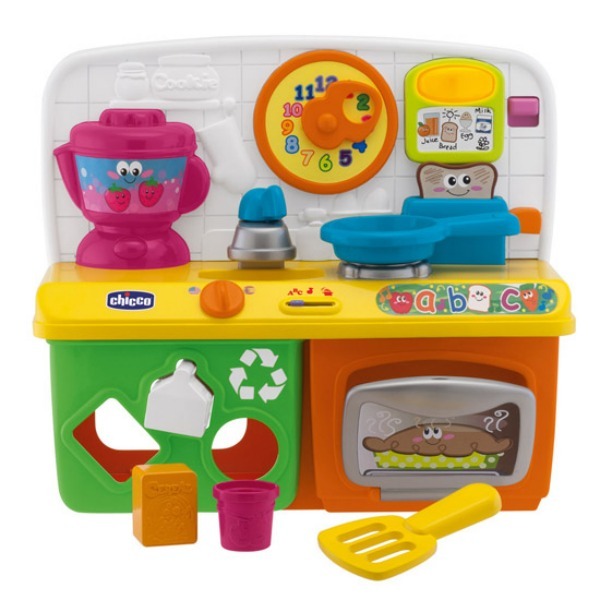 Suitable for babies from 12 months, children can discover different parts of a kitchen and practice their motor skills with rewards for successful actions like turning and pushing or opening and closing. Watch a demonstration to find out more about the Chicco Bilingual Talking Kitchen. 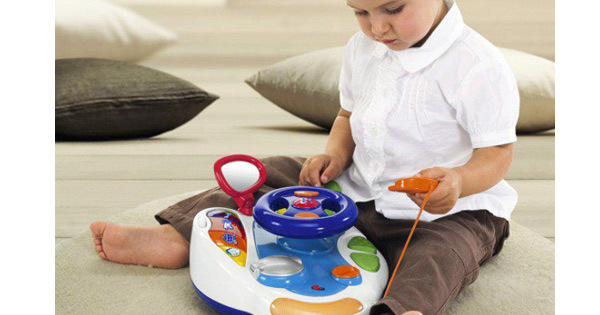 The Chicco Smart Driver is another clever toy that helps prepare children for the real world – it develops bilingual language skills (English/Spanish), extends vocabulary learning and uses familiar locations and realistic driving features to enhance imaginative play. Take a look at this interactive video to find out more about the Chicco Smart Driver, which retails for $99.95. I love toys that grow with the kids. It means I don’t have to keep buying new toys – or finding storage room for the has-beens. The Chicco Quattro Ride-On ($179.95) is perfect for kids who are ready to be on the move. It starts as a safety rocker at around 9 months, can be used as a walker when babies are ready to take their first steps, converts to a parent-controlled vehicle and then can be used as a full steerable car up until 3-4 years. Watch a demonstration to get a better idea of all the conversions and additional features like music, sounds, activities and storage room for their newly-found treasures. I’ve heard Santa is a big fan of developmental toys so Christmas is sorted thanks to Chicco. You can find all these great toys at your favourite baby stores and online at the ChiccoSHOP.